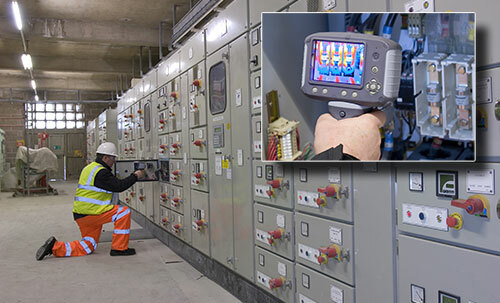 The PCE-TC 3D thermal imager for inspection in construction is an essential measuring instrument for any power adviser. In times where the power prices raise constantly, the images caught with the thermal imager for inspection in the construction are a great aid to increase the quality of the house and to lower additional expenses. The thermal imager for inspection in construction PCE-TC 3D is the improvement of our thermal camera more sold PCE-TC 3. 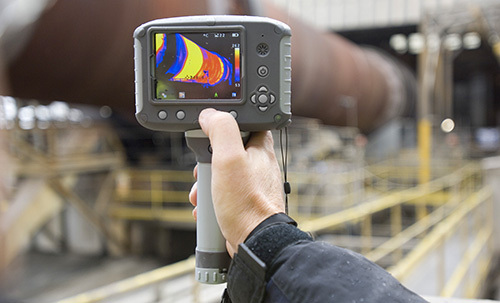 Whereas in the past we have resigned consciously to some special functions, now we offer the new thermal imager for inspection in construction PCE-TC 3D with some special functions, like EP thermal and digital camera (dual vision), up to 4 points of measurement of temperature with adjustment of the degrees of emission and temperature difference between 2 points. 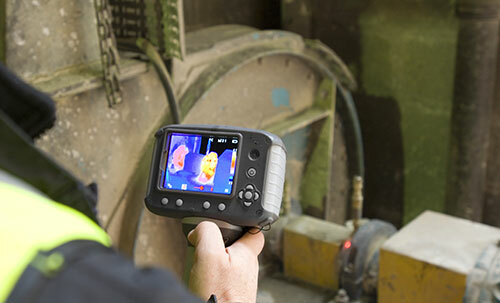 However, we have maintained the attractive characteristics of the thermal imager for inspection in construction PCE-TC 3, like the high resolution (160 xs 120 pixels), the simple handling, the long operative time of the battery, the additional components that come with the camera and a very attractive price. The use of the thermal imager for inspection in the construction is recommended when the differences between inner and outer temperature are very big, for example, during winter months. 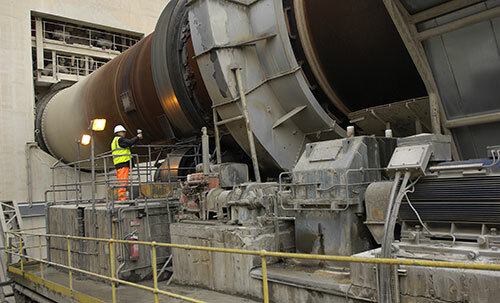 In such cases, the thermal imager makes visible the losses in energetic power and deficient isolations. The thermal imager uses artificial different colours. Each temperature receives a different color. For example, the hottest points are white, whereas the coldest points are blue. In this way, you will distinguish how the temperature in the surface is distributed. You will have to consider that the surfaces to analyze must not be warmed up by the sun. It is for that reason that we advised to use the thermal camera for inspection in the construction early in the morning or at dusk. The sharpshooting laser of the thermal camera allows an exact location of the measurement field. The images are directly saved in a Micro card like a BMP file. You will be able to see, analyse and publish the results in situ (all the registered images directly can be shown directly in the 3,5" screen by means of a gallery of images), or to transfer them to the PC and to value them by means of software there. The camera has a voice recorder that allows to record commentaries in each image. 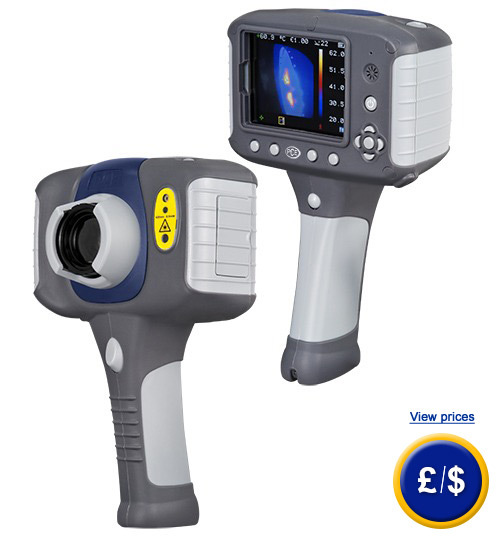 In case you had questions about the thermal imager for inspection in construction, yo can seethe specifications details next or to contact us: UK customers +44(0) 23 809 870 30 / US customers +1-410-387-7703. This link shows and overview of all the thermal imagers that you could need. We are available to assist you in choosing the best device to suit your requirements. PCE-TC 3D Thermal Imager connections. 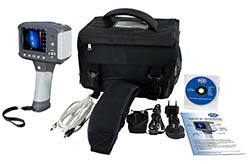 1 x thermal imager for inspection in construction. 1 x ion-lithium storage cell. 1 x Micro-SD memory card.